A part of the USA’s cultural iconography since George Washington chose its location in 1791, the White House in DC serves as a symbol of western democracy and has housed every US president since John Adams. To tour the whole structure and witness US politics in action is an honor bestowed only upon foreign dignitaries and distinguished guests of the state, but several White House halls are open to the public year-round. Although acquiring access to the White House can take some research and security can be strict, a tour through the home of a nation’s leaders is an experience that can be treasured and passed down for years to come. Since 2001, all requests to visit to the White House must be submitted through one’s Member of Congress or one’s respective foreign embassy in the capital. Schedule space for these tours are limited to a few groups per day, must be scheduled at least 21 days in advance, and are granted on a first come first served basis. Historically, spring and summer tours during holiday months fill quickly, and many potential visitors flock to their congressional representatives with requests three months before December for a chance to see the White House bedecked in its Christmas best. If the request for a White House tour is denied, Congressional Member’s Passes are distributed monthly by the White House Visitor’s office and may be acquired by contacting them via phone or in-person. 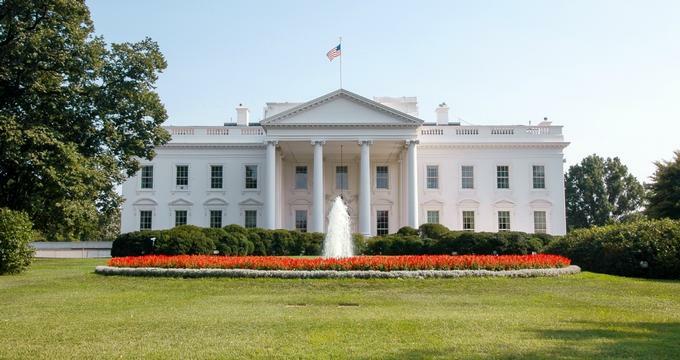 Although one can visit the official White House website for a review of the White House’s security policies and prohibited items, it is suggested to bring as little as possible since there is no storage area. All public tours are self-guided and can take around 45 minutes to fully navigate, but the Secret Service members stationed along the pre-approved path are available for questions, directions, and even short history lessons about the building. The availability of certain halls is dependent on current federal policy, but areas that have been historically open to the public are listed below. Once a storage basement and the heart of the White House’s central heating system, the Ground Floor now serves as the exhibition area for the White House’s artifact collection. Busts of Presidents Washington and Jefferson sit at the entrance of the White House Corridor, and the walls are lined with portraits of the most recent First Ladies and doors to the exhibition areas. The White House Library, the Vermeil Room, the China Room, the Diplomatic Reception Room, and the Map Room display books, fine art, furnishings, and historical artifacts created and gifted to the White House over the centuries. The East Wing, home to the East, Red, Blue and Green Rooms, have welcomed the public to the White House since the inception of the public White House visit. The East Room, a wide ballroom with massive chandeliers, is the building’s premiere space for conferences and performances. The Red Room, named for its refurbishment during the Polk presidency and coined during a New Year’s Day reception in 1849, has maintained its red accoutrements through centuries of refurbishments, ceremonies, and clandestine meetings. A decorative parlor space with seats for distinguished guests, the Red Room houses portraits of former residents of the White House, most notably its First Ladies. The ovular Blue Room follows the Red Room; blue since Van Buren’s renovations on the space in 1837, the space serves as a public reception area for visiting dignitaries, delegations, and even the occasional christening of White House children. The only room to have borne its signature color since the White House’s completion, the Green Room has served several purposes – a bedchamber, an informal dining room, and even a card room – but today serves as a small gallery of fine art. Although visitors can tour the South Lawn and the White House’s Rose Garden can be seen through the windows, areas such as the Jacqueline Kennedy Garden, the White House Kitchen Garden, and the elusive Children’s Garden are usually strictly off limits. However, the White House offers special weekend Garden tour tickets in April and October; the tickets are free, but they are usually distributed during the weekend of the given event and cannot be requested through a congressional representative. One other event that allows guests into the White House Gardens is the annual Easter Egg Roll, hosted by the incumbent First Lady. Held on the White House’s South Lawn, families with small children are eligible to register for the event.